Machina Research expands the scope of its IoT forecasts and highlights a USD4 trillion revenue opportunity in 2025. Machina Research comprehensively extends the coverage of its IoT forecasts to include almost the entirety of the Internet of Things revenue opportunity, predicting it will rise from USD892 billion in 2015 to USD4 trillion in 2025. Machina Research today announced the expansion of its industry benchmark IoT Forecast Database. 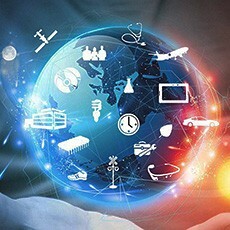 Until now, Machina Research has focussed on publishing machine-to-machine (M2M) forecasts, covering numbers of connected devices and also the commercial opportunities flowing from those connected devices and associated services. It is, however, clear that the Internet of Things (IoT) encompasses much more than just M2M, and represents a far greater revenue opportunity than that represented by just M2M applications. In order to publish IoT forecasts that reflect the true scale of the IoT opportunity, Machina Research has undertaken an initiative to forecast these ‘missing’ revenues. Specifically, they have now added revenues associated with IoT-like applications that are powered by ‘exhaust data’ from M2M applications as well as more ‘horizontal’ revenue types such as application development and project work, which have not been included in our forecasts so far (other than indirectly, via M2M application revenues for deployed services, where relevant). These new ‘IoT service’ elements account for USD294 billion in revenue in 2015, growing to USD1.9 trillion in 2025. Of these new IoT service revenue elements, by 2025 Europe will be the largest region, slightly ahead of North America, with both capturing more than USD500 billion. Of Machina Research’s five sectors, Connected Living & Working, which accounts for the lion’s share of IoT connections, will also account for the largest portion of IoT service revenue. As a result of adding these additional elements Machina Research’s overall forecast for the total value of the IoT market in 2025 is USD4 trillion, up from USD892 billion in 2015. For more information on the growth opportunities associated with the Internet of Things, including more details on the USD4 trillion opportunity, please refer to the Research Note “Forecasting the totality of the IoT revenue opportunity” (April 2016).